V.W.Bro. David Hannay was a Freemason in spirit and in truth. He was not fond of speaking in public, but his brethren recognized his sterling worth, his charity to all men, his genial good nature, his kindliness of disposition and unswerving loyalty to his obligations both in private and public. These qualities of heart and mind won for him the esteem of his brethren, and it is no exaggeration to say that his silent influence was much greater in its effect than many another brother of more voluble speech. His early death was a great loss to the Order, and it was truly said that in him it had lost a member whose place would be difficult to fill. 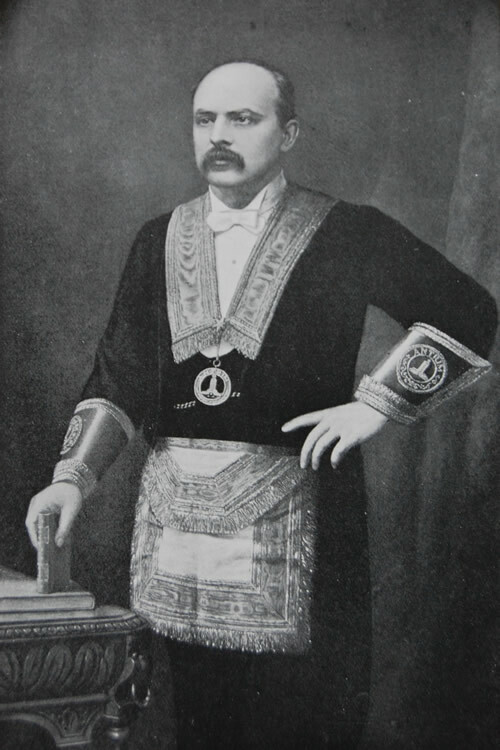 Of all the distinguished brethren whose portraits adorn the wall of the Masonic Hall no one was more worthy of a place than V.W.Bro. David Hannay.